Michael Schütz, born in 1963, is a university lecturer for popular music and works self-employed as a composer, arranger, pianist, producer, keyboarder and a seminar leader. After finishing his studies at the University of Sacred Music in Esslingen in 1991 with top honors, he became a reporter for cultural education in Stuttgart. Since 1998, Michael combines his faculty duties as a lecturer of popular music at the University of Sacred Music in Tübingen and the Music Academy in Trossingen. In numerous live concerts, TV appearances and studio productions Michael has met with many international artists such as Gloria Gaynor, The Temptations, Chaka Khan, Xavier Naidoo, Jennifer Rush, Deborah Sasson, Umberto Tozzi, Tony Christie, Toto Cutugno, Klaus Doldinger’s Passport, German Brass and the SWR Big Band and many more well known artists in this genre of music. 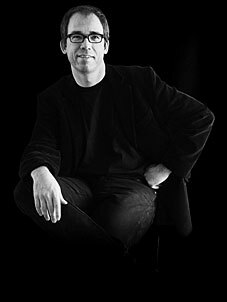 He composes and arranges music for theatre musicals and cabaret programs. One of Michael’s many accomplishments was his composition and arrangement for “Faust II” from Goethe. Christina Schütz was born in 1972. She is a musician of sacred and theatre music. She is well educated as a vocalist, organist and conductor and enjoys playing the recorder. Christina studied sacred music at the University of Arts in Berlin. While there, she studied voice with Prof. Jitka Kovariková in Leipzig. 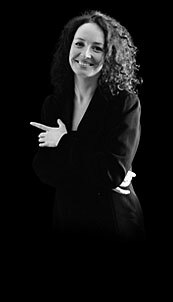 From 1999 to 2002 she worked as a vocalist, organist and conductor in Berlin-Brandenburg. Christina is frequently invited to give master classes in conducting and voice. While in Berlin, her musical focus on the baroque and classical style predominated in her music selection as the conductor for her chamber orchestra known as the “Ensemble Deciso Berlin”. This multi-talented lady has also recorded numerous concerts for radio and CD productions performing on recorder, organ and harpsichord. An example of her work is with the Preussisches Kammerorchester. Christina has also composed and arranged music for theatre productions such as “Faust I” from Goethe for the Uckermärkischen Bühnen Schwedt, where she is frequently invited to participate in their productions.